I recently represented the ATA in a local media appearance, a live interview on the Denver NBC News station, KUSA 9 News. This interview was part of a business segment highlighting the bright employment outlook for bilingual people and the fact that bilingual people remain very employable even in a soft economy. Live TV is certainly not my forté, but overall this was an interesting experience. I can’t say enough positive things about Wendy Greenwald of The SolutionPR; she’s definitely the person you want to take with you to any stressful media event! The ATA’s Public Relations Committee has done an excellent job of getting translation-related news items placed in local and national media as a way to educate the public about what translators do and why our work is critical to business success, international development, national security and more. 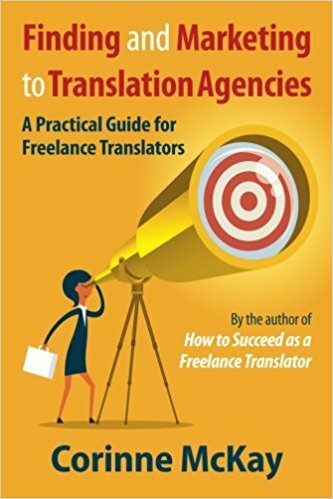 I think I’m more successful in my home office than in front of a camera, but this was a fun opportunity to spread the word about the translation profession. This is great, you come across so well and I really like how you speak about translation in a way the general public can easily understand. This goes a long way towards raising awareness of the profession, well done! This is amazing! You did a phenomenal job and I can’t believe how relaxed you looked! Well done!!!! Thanks for your comments, Sarah, Nicolas and Beth, you’re too kind! I agree that it’s important for translators to get out there and do some public education, but being interviewed on live TV is a big change from the home office. I don’t normally talk with my eyes closed so I’m not sure what happened here (bright lights? not enough sleep the night before? ), but it was a fun experience!! Wow! Félicitations! Just the thought of standing in front of a TV camera scares me to death, so I am really glad there are people like you who are brave enough to do it. You are a great example of a professional, highly educated and self-confident language expert. And you’re doing a great service to our community. They can warn you about something before it goes too far into development, and you can avoid getting a bad reputation due to misunderstandings. You are also able to get web site services and document translation services. You may think you can speak the specific language well, but how well can you read it, and how well can you write it? Putting together press releases and a special website would be incredibly hard if not impossible, and you wouldn’t be able to visit rival websites, either.